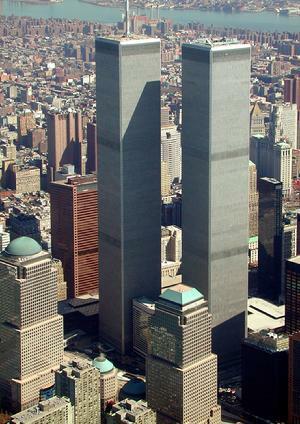 Plane #1 (first plane) hit the North Tower (Also known as "Tower One", but; Tower One was the Second to Collapse. 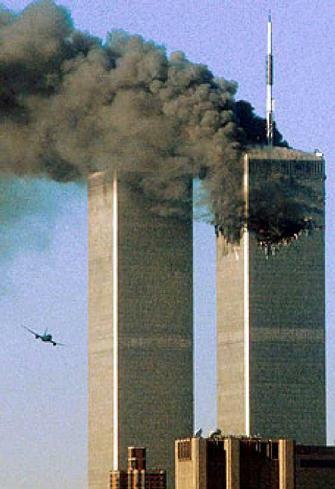 Plane #2 (second plane) hit the South Tower (also known as "Tower Two"), but; Tower Two was the First to Collapse. 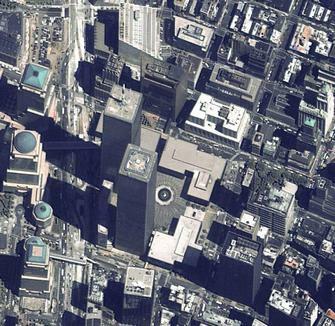 QUESTION: Where did all the mass that was the Twin Towers go? "Click Here For: Dr. Judy Wood Site"
"Click HERE For: Dr. Judy Wood Archives"
"Click Here For: 911 Cliff Notes"
9-11-1922: Sun News Pictoral (Melbourne, Australia Newspaper) established by Sir Keith Murdoch (Rupert Murdoch's Father). 9-11-1991: President Bush the Elder Uses the Phrase: "New World Order" in televised Speech. 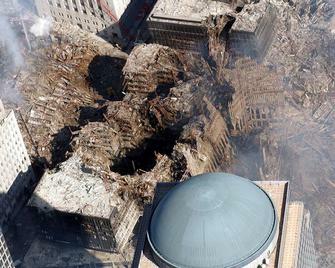 9-10-2001: Secretary Defense Rumsfeld tells Congress that $2 Trillion dollars is missing & unaccounted for from the U.S. Treasury ...the next morning; the World Trade Center is Attacked. In the newly revealed 20-page memo from FDR's declassified FBI file, the Office of Naval Intelligence on December 4, 1941 warned, "In anticipation of open conflict with this country, Japan is vigorously utilizing every available agency to secure military, naval and commercial information, paying particular attention to the West Coast, the Panama Canal and the Territory of Hawaii." Historian and acclaimed Reagan biographer Craig Shirley, author of the just released December 1941, doesn't blame FDR for blowing it, but instead tells Whispers that it "does suggest that there were more pieces to the puzzle" that the administration missed. The 70th anniversary of the attack is next month. In fact, he compares the missed signals leading up to Japan's attack to 9/11, which government investigations also show that the Clinton and Bush administrations missed clear signals that an attack was coming. The Events of 911 were announced in advance, through the Solar Eclipse Chart which preceded it; The Total Solar Eclipse of June 21, 2001. Information on this Eclipse & how it forecast "911" was posted on Lois Rodden's AstroDataBank. 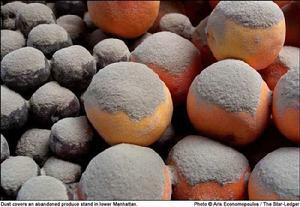 The Event Forecast as actually stated, said:.
. & listed NYC & WDC as possible locales. & did so five months in advance. The June 21st Solar Eclipse Chart World Chart. This June 21st Solar Eclipse was not just "any Eclipse". It was an Eclipse that was within 10' of the World Axis. When an Eclipse occurs on the World Axis; Major World Events Occur that are Life Changing in ways that other Eclipse Events are not; no matter how huge the other Eclipse Events will be locally; it takes a World Axis Eclipse to Change World Events to such an extent as did the Events of "911". This particular Solar Eclipse indicated an "End to "Peace & Prosperity". The World is still dealing with its AFTERMATH to this day. In the USA Natal Chart: The Mars/Uranus Midpoint is at 44� 57'. affected the USA Natal Chart . Mars/Uranus indicates: "Sudden Attack or Injury". H I S T O R I C A L L Y ? The Solar Eclipse of: Feb. 26th 1979 at 07� Pisces 30'. Exactly conjunct the World Axis thru the Semi-Octile. Thus; in the Prior World Eclipse Sadaam Hussein becomes the President of Iraq; & later becomes a "player" with Iraq a "staging area" for the events that were to play out in the Successive World Eclipse that heralded "911". BUT... they were Lunar Eclipses NOT Solar Eclipses. 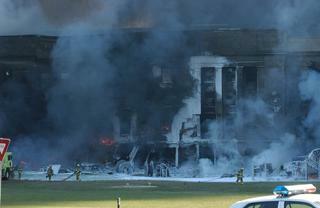 Pan Am 727 Jet (Flight #759) crashed in Kenner, LA killing all 146 aboard and 8 more on the ground. Eclipse Paths CAN indicate the areas they will affect by the Path of their Shadows falling upon the Earth... but this is NOT one of them. Is the Eclipse Path of the Total Solar Eclipse of "911". It passes nowhere near New York City. The method for determining all the events that occur during an Eclipse depends upon more than only the Path of its Shadow.